Hydrocarbon production, gas recovery from shale, CO2 storage and water management have a common scientific underpinning: multiphase flow in porous media. 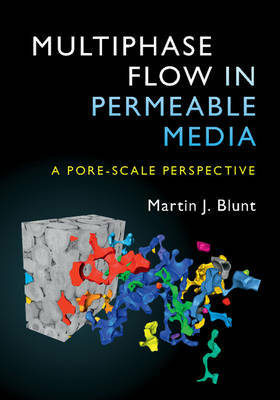 This book provides a fundamental description of multiphase flow through porous rock, with emphasis on the understanding of displacement processes at the pore, or micron, scale. Fundamental equations and principal concepts using energy, momentum, and mass balance are developed, and the latest developments in high-resolution three-dimensional imaging and associated modelling are explored. The treatment is pedagogical, developing sound physical principles to predict flow and recovery through complex rock structures, while providing a review of the recent literature. This systematic approach makes it an excellent reference for those who are new to the field. Inspired by recent research, and based on courses taught to thousands of students and professionals from around the world, it provides the scientific background necessary for a quantitative assessment of multiphase subsurface flow processes, and is ideal for hydrology and environmental engineering students, as well as professionals in the hydrocarbon, water and carbon storage industries.